GPUs came to the tech scene as a means to ease and improve the visual display aspect of computers, however, a few decades later, they contribute to much more than graphics. Today they count themselves amongst the key components in the makeup of some of 2018’s fastest supercomputers. That being said, non-supercomputer enterprises stand to gain from the application of GPUs as well. The term Graphics Processing Unit (GPU) first became popular during the 90s with the development of the Nvidia GeForce 256. This model became the first consumer available GPU to include T&L (Transform and Lighting) hardware and contain a cache. Fast forward to the the early 2000s, and the concept of the General Purpose Graphics Processing Unit (GPGPU) was in the works. This expansion meant that GPUs would no longer be considered solely for the interpretation and display of images. Instead it became possible for many data laden industries to appreciate and apply GPUs to tasks traditionally handled by the CPU. While some of the benefits of applying GPUs can vary per industry, there are a few central advantages that apply. Due to their highly parallel structure, GPUs and GPGPU pipelines are capable of processing hundreds of thousands of small programs at once. For enterprises who deal in data, the ability to simultaneously interpret large amounts of data can mean the difference between days and minutes when it comes to turnaround times. However, in today’s business environment, time is a luxury and can be one of the most costly resources. Being able to impact turnaround times in such a meaningful manner not only saves company resources, but can also ensure the optimization of business opportunities and decisions. Modern GPUs make use of caches, register files, frame-buffers and other hardware that increases their capabilities and performance. These variances enable companies to make use of GPUs in ways that suit their particular processing needs. For example, with their large register files, GPUs not only differentiate themselves from CPUs but can also be more effective when attempting to reduce context-switching latency. The advantage of being able to access data quickly, and without noticeable stalling between tasks can prove invaluable for those in the field of AI. Taking the above benefits into account, GPUs are able to help companies significantly lower their costs. By speeding up turnaround times, GPUs shorten the amount of time company resources are in use, leading to cheaper expenses. These quick turnaround times also mean that companies don’t have to miss out on other business opportunities, costing them potential revenue. 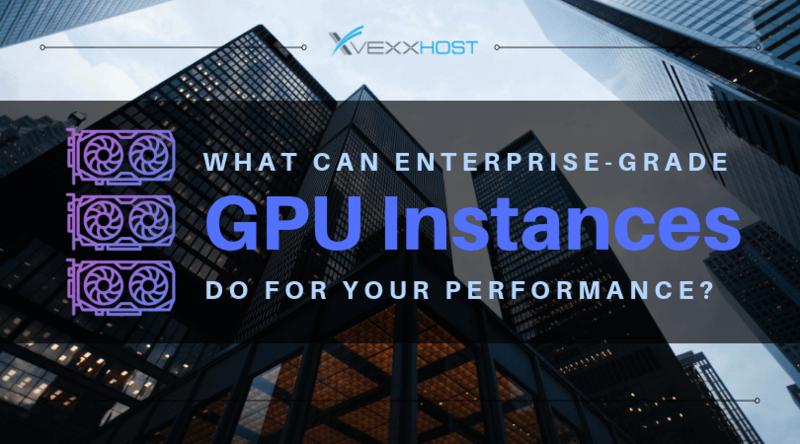 Expenses can be reduced through the flexible, parallel architecture of GPUs as well, as they are capable of doing the work of multiple CPUs all while consuming less energy. Effectively, GPUs are moving on from their initial purpose of solving graphic issues. Today, we recognize them as solutions for a host of different data struggles across various business arenas. For example, the performance of supercomputers and the development of industries such as blockchain, big data, AI and subsequently, machine learning and deep learning, have all benefited from the application of enterprise-grade GPUs. With flexibility, parallel architecture, and large register files as a few of their credentials, GPUs have a lot to offer enterprises regardless of their line of business.